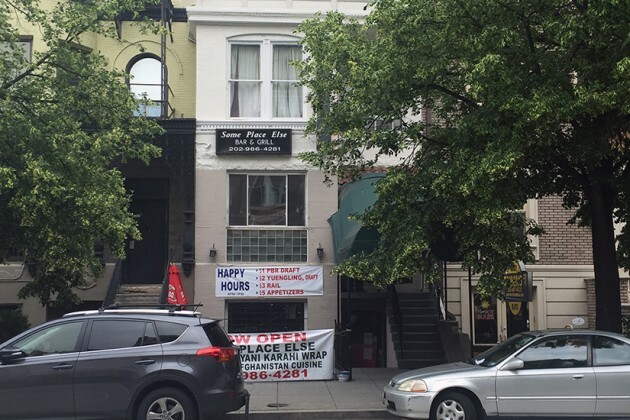 Some Place Else, the bar located in the former Townhouse Tavern space at 1637 R St. NW, can’t serve locals “until further notice” because it “presents an imminent health hazard(s) to the public,” according to a notice from the D.C. Department of Health. The agency didn’t immediately provide any further details about the closure. “There were no pests,” said Some Place Else manager John Hall when reached for comment last night. Hall added that he thought the closure may have stemmed from an alleged dispute between some of the bar’s employees and neighboring business Body Rays Tanning. But Michael Facciolo, the owner of Body Rays, said he had “no idea where this came from” in an email to Borderstan earlier today. 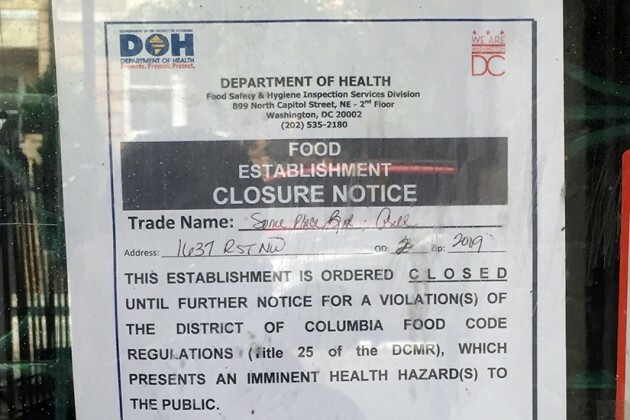 Full DOH reports on restaurant closures are typically released within a few days to a week of an inspection.